Zhang, J., Dai, Q., Park, D. and Deng, X. (2016). 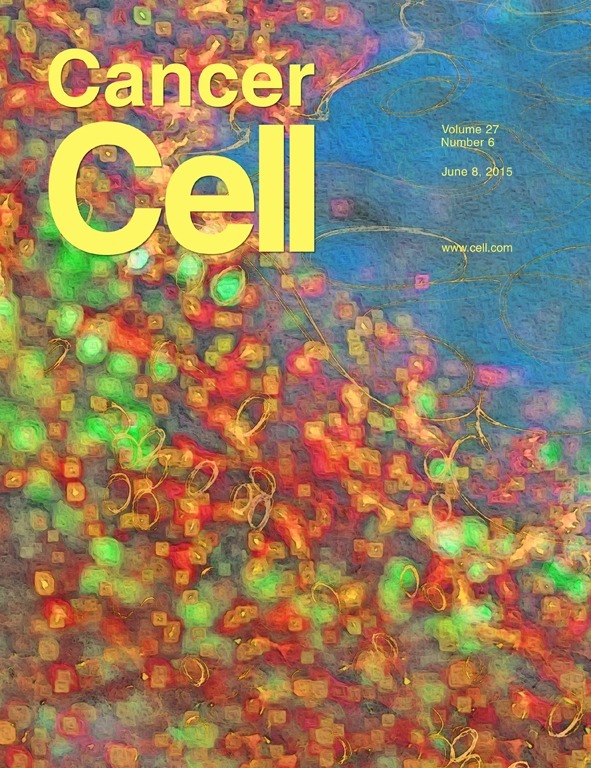 Targeting DNA Replication Stress for Cancer Therapy. Genes (Basel) 7(8). Nagaraju, G. P., Rajitha, B., Aliya, S., Kotipatruni, R. P., Madanraj, A. S., Hammond, A., Park, D., Chigurupati, S., Alam, A. and Pattnaik, S. (2016). The role of adiponectin in obesity-associated female-specific carcinogenesis. Cytokine Growth Factor Rev 31: 37-48. Deng, J., Park, D., Wang, M., Nooka, A., Deng, Q., Matulis, S., Kaufman, J., Lonial, S., Boise, L. H., Galipeau, J. and Deng, X. (2016). BCL2-BH4 antagonist BDA-366 suppresses human myeloma growth. Oncotarget 7(19): 27753-27763. Zhang, J., Park, D., Shin, D. M. and Deng, X. (2016). Targeting KRAS-mutant non-small cell lung cancer: challenges and opportunities. Acta Biochim Biophys Sin (Shanghai) 48(1): 11-16. Han, B., Park, D., Li, R., Xie, M., Owonikoko, T. K., Zhang, G., Sica, G. L., Ding, C., Zhou, J., Magis, A. T., Chen, Z. G., Shin, D. M., Ramalingam, S. S., Khuri, F. R., Curran, W. J. and Deng, X. (2015). Small-Molecule Bcl2 BH4 Antagonist for Lung Cancer Therapy. Cancer Cell 27(6): 852-863. Xie, M., Park, D., You, S., Li, R., Owonikoko, T. K., Wang, Y., Doetsch, P. W. and Deng, X. (2015). Bcl2 inhibits recruitment of Mre11 complex to DNA double-strand breaks in response to high-linear energy transfer radiation. Nucleic Acids Res 43(2): 960-972. Xin, M., Li, R., Xie, M., Park, D., Owonikoko, T. K., Sica, G. L., Corsino, P. E., Zhou, J., Ding, C., White, M. A., Magis, A. T., Ramalingam, S. S., Curran, W. J., Khuri, F. R. and Deng, X. (2014). Small-molecule Bax agonists for cancer therapy. Nat Commun 5: 4935. Wang, H., Wang, X., Chen, G., Zhang, X., Tang, X., Park, D., Cucinotta, F. A., Yu, D. S., Deng, X., Dynan, W. S., Doetsch, P. W. and Wang, Y. (2014). Distinct roles of Ape1 protein, an enzyme involved in DNA repair, in high or low linear energy transfer ionizing radiation-induced cell killing. J Biol Chem 289(44): 30635-30644. Higgins, K. A., Park, D., Lee, G. Y., Curran, W. J. and Deng, X. (2014). Exercise-induced lung cancer regression: mechanistic findings from a mouse model. Cancer 120(21): 3302-3310. You, S., Li, R., Park, D., Xie, M., Sica, G. L., Cao, Y., Xiao, Z. Q. and Deng, X. (2014). Disruption of STAT3 by niclosamide reverses radioresistance of human lung cancer. Mol Cancer Ther 13(3): 606-616. Park, D., Magis, A. T., Li, R., Owonikoko, T. K., Sica, G. L., Sun, S. Y., Ramalingam, S. S., Khuri, F. R., Curran, W. J. and Deng, X. (2013). Novel small-molecule inhibitors of Bcl-XL to treat lung cancer. Cancer Res 73(17): 5485-5496. Choi, I., Kim, S. D., Cho, B., Kim, D., Park, D., Koh, H. S., Kim, B. Y., Kim, J. Y., Yang, J. and Ahn, C. (2008). Xenogeneic interaction between human CD40L and porcine CD40 activates porcine endothelial cells through NF-kappaB signaling. Mol Immunol 45(2): 575-580. Park, D. K., Bitton, G. and Melker, R. (2006). Microbial inactivation by microwave radiation in the home environment. J Environ Health 69(5): 17-24; quiz 39-40. Choi, I., Cho, B., Kim, S. D., Park, D., Kim, J. Y., Park, C. G., Chung, D. H., Hwang, W. S., Lee, J. S. and Ahn, C. (2006). Molecular cloning, expression and functional characterization of miniature swine CD86. Mol Immunol 43(5): 480-486. Ban, K., Park, D., Shim, J. O., Lee, Y. S., Park, C. H., Lee, J. Y., Lee, T. S., Lee, S. S. and Lee, M. W. (1998). Cultural Characteristics for Inducing Fruiting-body of Isaria japonica. The Korean Journal of Mycology 26: 380-386. Son, S. G., Park, D., Ban, K., Ka, K. H., Shim, J. O., Lee, Y. S., Lee, S. S., Lee, T. S., Kim, K. P. and Lee, M. W. (1998). The Sclerotia Formation of Polyporus umbellatus on the logs. The Korean Journal of Mycology 26: 396-398.